to adopt an artisanal approach, combining pho­tography and sculpture in an object-oriented photography. 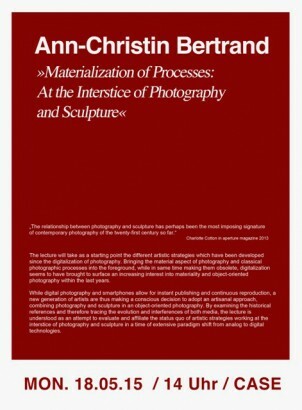 By examining the historical ref­erences and therefore tracing the evolution and interferences of both media, the lecture is un­der­stood as an attempt to evaluate and affiliate the status quo of artistic strategies working at the interstice of photography and sculpture in a time of extensive paradigm shift from analog to digital technologies. Ann-Christin Bertrand is curator for C/O Berlin.